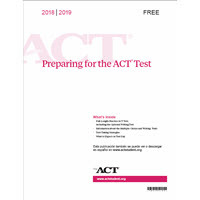 We added the answer key for ACT’s new 1974FRE test to our database. We provide a detailed student report for this test. In the OnlineScoreTracker database the 1874FPRE has the key/test ID #66. This is what students bubble in on their BubbleScan-compatible answer sheets. By default any new keys we add to our database show up in your account with a status of inactive. This is to avoid conflict with any keys you may have added using the same key/test ID. To activate the key, go to KEYS in your OnlineScoreTracker account, then choose ACT. Search for “1874” or scroll to the inactive system key #66 and click on the pencil icon, choose Activate and then click SAVE. Copyright 2016-2018 Academy Technologies LLC. All trademarks are the property of the respective trademark holders. None of the trademark holders are affiliated with, or in any way endorse Academy Technologies or BubbleScan.